Maray´s family moved to Ensenada B.C. because her extended family was involved in the growing of marijuana and they didn’t want to have any problems by being associated with that. Abraham and Maray met in church when they were just kids. After Abraham graduated from high school he started working in a factory. Abraham and Maray got engaged and then Abraham wanted to start his own gardening business. So they took a management course on how to run a business and manage their money; as a result they have been able to buy a car. Their business is still so new that they aren’t making enough income to even rent a room anywhere. Currently, they are living in an old trailer that belongs to Maray’s father. They have a young business, they have a car, but they haven’t been able to save enough for a house; and for that reason, they are asking for help to provide their young daughter with a home to grow up in. Carmen was born in Oaxaca Mexico, when she was 8 years old her parents decided to move to Ensenada because they weren't making enough money to maintain their family (8 kids) in Oaxaca. Because they were such a large family, only the youngest three were able to attend school. Carmen and the other four eldest siblings had to drop out of school at a certain age and start working. Atone of Carmen´s workplaces, she met Bianca´s father. They moved in together and had the baby, but started to having marital issues and he eventually left, leaving Carmen and Bianca. Carmen and Bianca moved back home with Carmen’s parents after the break-up. Carmen continued working to be able to provide for herself and her daughter. After being single mom for more than 6 years, she met Francisco at the ranch where she was working at. They started dating and decided to move in together and start a family, and that’s when Jesus was born. They moved to a piece of land that they bought on credit and built a shed from some scrap wood where they are currently living. They are asking for a house because they don’t have any way of building anything better for their family. Agustin and Liria are originally from Southern Mexico. They are a young family with only their one year old daughter, Janet. Agustin and Liria work in the fields packing vegetables. Their salary is not enough for them to be able to build a home. Like many other families, they came to Ensenada looking for work and a better way of life. They met two years ago and starting dating. They moved in with Liria’s uncle for their first year together and had their first child. After Janet was born, they decided to move out. The uncle’s house was very small and they wanted a place of their own where they could start raising their family. They bought land on credit and made a small room out of wood and tarps, they don’t have any kind of floor, it is just dirt. They would like to have a home to be able to give their daughter the best future possible, and for her to grow in a healthy environment. Natalio and Juana are originally from Oaxaca (Southeastern Mexico). They’ve been together for 26 years since their parents arranged their marriage. They had their first child a year after getting married, all while living with Natalio’s parents. Natalio worked in the fields while Juana was home cooking, cleaning and caring for their baby. 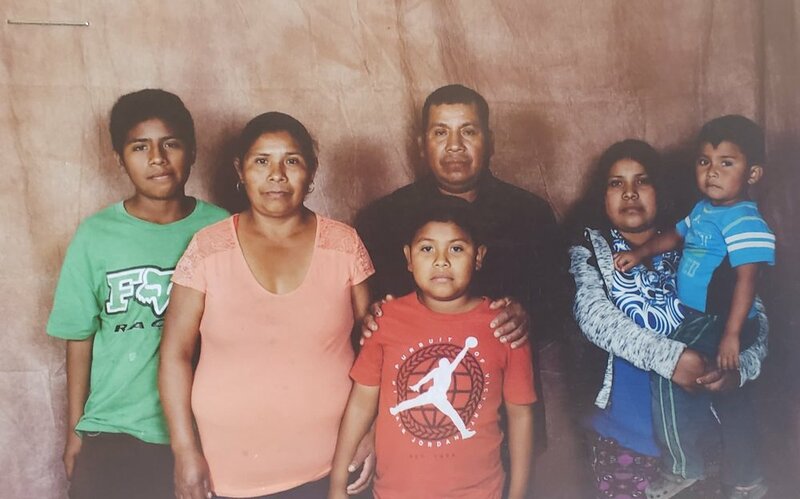 A year later they had another child in Oaxaca, and then 5 more children joined their family. They have a 7 children total, but 4 are already married and 3 live with them. Patricia is married with a son and they live with her parents, and the two youngest boys. Natalio and Juana moved their family to Ensenada six years ago in search of better jobs and a better life. They have a land of their own which they are still paying off, and that is where they currently live. Due to their lack of finances, they haven’t been able to build a better place to live. Their house now is a small room made out of wood scraps. Basilisa is from Oaxaca (Southeastern Mexico). About fifteen years ago she moved to Ensenada with her husband and children . Her husband had problems with alcohol and aggression. so she decided it was best to leave him and find another place to live. After leaving her husband she found land and began paying for it and moved her children there. She started a relationship with another man and they had a child together. After she moved in with him, she realized he was worse than her first husband and had to move back to her land. A few moths ago while she was at work she received a call that her little house was on fire, by the time she made it home everything was gone. Her sister has a Homes of Hope house and that is where they have been living for these past few months. Now they are asking YWAM for help as the were left with nothing. Felicita was born in Oaxaca (Southeastern Mexico). . When she was 14, Felicita’s mother tried crossing the American border but she was sent back to Mexico and ended up in Ensenada. Her mother went back to Oaxaca for her family and moved them to Ensenada. Throughout Felicita’s childhood her family moved back and forth from Oaxaca to Ensenada. Felicita had to stop studying at a young age to be able to work and help support her family. When she was 15 years old and living in Oaxaca, she got pregnant with Carlos, and a year later with Gerano. The boys have different fathers, and neither has been a part of their son’s lives. But over the years, she has always had the desire to make a good life for herself and sons. She returned to Ensenada and got a job packaging vegetables making $52 dlls a week to support her family. She found a piece of land she could get on credit, and is still paying it off. Her parents, sister, and nephew moved in with her and built a small room (shack) on her lot. Felicita desires a better future for her family. Jose and Claudia are from Guadalajara (Western-Pacific area of Mexico), they met at church and dated for a long time before getting married. 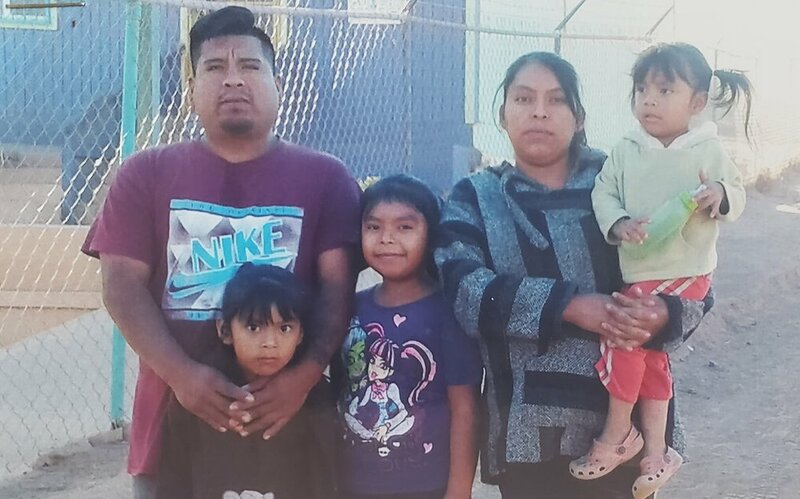 They worked really hard to try to provide a good life for their family, but eventually made the decision to move to Ensenada with the hopes of a future than what they may have if they stayed in Guadalajara. They came to Ensenada and where able to buy a land. They have four amazing boys Jonathan, Luis Enrique, Angel de Jesus, and Yair Emanuel. Jose works as a welder and can earn around $100 dlls a week when he has work. Claudia is a stay-at-home mom. They desire the best for their family and for that reason, they asked Homes of Hope for help. Raul and Sabina have been together for ten years. They met dancing cumbia (a kind of dance music similar to salsa.) in Oaxaca (where they are originally from in Southeastern Mexico). Shortly after, they decided to move to Ensenada in search of a better job and future. Their second year together they welcomed their son Luis, and then were legally married. Soon after, they had their second son Marcos. Up until just last year they had been renters, but rent has risen so much that they were not able to continue paying their rent. For that reason they decided to get a piece of land and instead make monthly payments towards something that was theirs. They built a room and moved to their lot. They have not had the money to build anything better. Noe and Erendida are both from different states in southern Mexico. They came to Ensenada in search of better lives and job opportunities. When Noe met Erendida, she had 2 daughters from a previous relationship, Juaquina and Erendida. Noe had previously worked as a day laborer, travelling from place toplace completing jobs, even working in the fields. In 2008 Noe had a terrible accident while travelling by train that left him handicapped. The train ran him over; he lost a leg and a part of his arm. After the incident, it was very difficult for him to find a job. He decided to sell candy in the streets and he earns around $54 dlls a week. Erendida stays home to care for their house and children; the girls attend school. Noe and Erendida want the best for their family and have saved money to begin paying their land. They live in very bad conditions in a very small trailer. Maria’s family moved from Oaxaca to Ensenadawhen she was just a baby. Tomas and Maria met while working in a strawberry field in the USA They had crossed illegally in search of a better job and pay. After four months of dating they decided to return to Mexico instead of continuing to live in the USA, worrying about their legal situation. Back in Ensenada they moved in with Maria’s parents, but it wasn’t ideal for them as a family, they wanted and needed their own space to live. They found a way to buy a piece of land on credit. Despite all their efforts of trying to save up money and finish paying it off, they couldn’t. So they decided to return to the USA to work and save up enough money to pay it off. Once it was paid, they returned to Ensenada with the dream of building their own home on their land. They have not been able to fulfill this dream of building their home. This house will be a great joy for them and their four children. A home that will provide a better quality of life that they can enjoy. Jorge is from Oaxaca and works selling bracelets that he makes. Norma is from Chiapas and is a stay at home mom. They have three beautiful daughters, Heidi, Dulce, and Megan. They met in 2011 in while working in a the field here in Ensenada. They immediately began dating and after 7 months, decided to live together with Jorge’s family. They only lived there for one year because it was hard on Norma and there were problems that came up. It was the very cramped living at the in-laws, there were 12 people living in a 2 bedroom house. For this reason they left and rented their own place. After renting for four months, they were unable to continue making the payments and had to move back in with Jorge’s parents. They discovered they could get land on credit, got a loan for the down payment, and began the process of getting their own place. Over the time of six months Jorge was able to build a place for them to live with wood and other material he could find. As soon as he had it ready, they moved. Arturo and Eugenia are originally from Oaxaca. Eugenia moved to Ensenada with her parents when she was around 11 years old. Her parents came looking for better opportunities for their family. Eugenia quit school and started working when she was just 12 years old. She started dating Arturo when she was about 15. They lived with Arturo’s parents for years, until his parents decided to return to Oaxaca. Eugenia and her family stayed in the house until it was sold. Once the house sold, they got a piece of land and built a room to live in. They both work in the field and earn around $55 dollars a week. 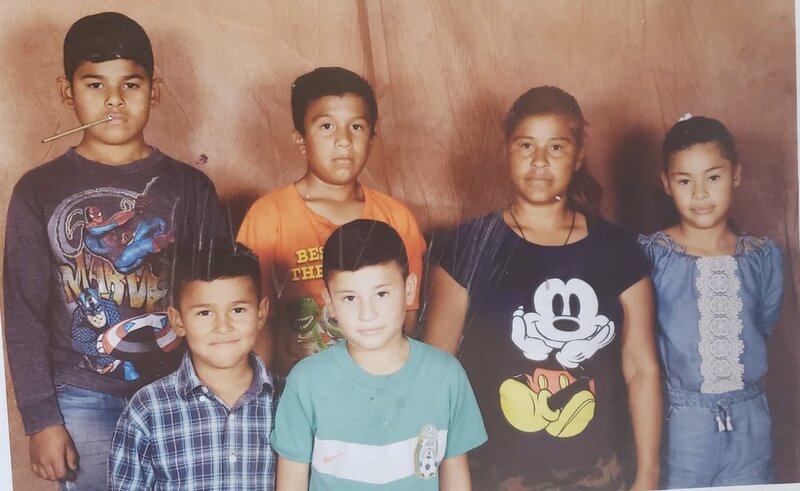 They have four children, Ronaldo is 19 and is going to university, Carlos is 17 and is in 8th grade but doesn’t want to continue with school, Leonel is 10 and is in 5th grade and Nayeli is 5 years old and is in kindergarten. Arturo and Eugenia desire to provide a better home for their children. Delfina was born in Oaxaca (Southeastern Mexico). She is a very hard working mom of 5, earning around $75 dlls a week. When she was six years old her mother asked her to leave school and find work to help support their families needs. Later on at age 8 Delfina and her family moved to Ensenada. She met her first boyfriend at the age of 18 and got pregnant with her first son Fernando. His father wasn’t in the picture at all and never supported them, but Delfina carried on with life. A year and a half later, she met another man who is the father of her other 4 children. Their father mistreated Delfina, not only in their home but also in public. For this reason she decided to leave him and try to find a better way to raise her children. With some money she had saved, she bought a piece of land, and with wood and materials she found she was able to build a room for them to live. She heard about YWAM and has asked for help to continue to move her family forward. Simona is a single mother who is 30 years old and originally from Oaxaca. She has 4 children; Aracely is 1 year old, Noe is 9 years old, Carmen is 11 years old, and Yadira is 15 years old. Simona has had a very difficult life. She had 2 children with her first partner, but he never wanted to recognize them as his children and did not give them his last name. So, she left Oaxaca to find a place to work and give a better life to her children. 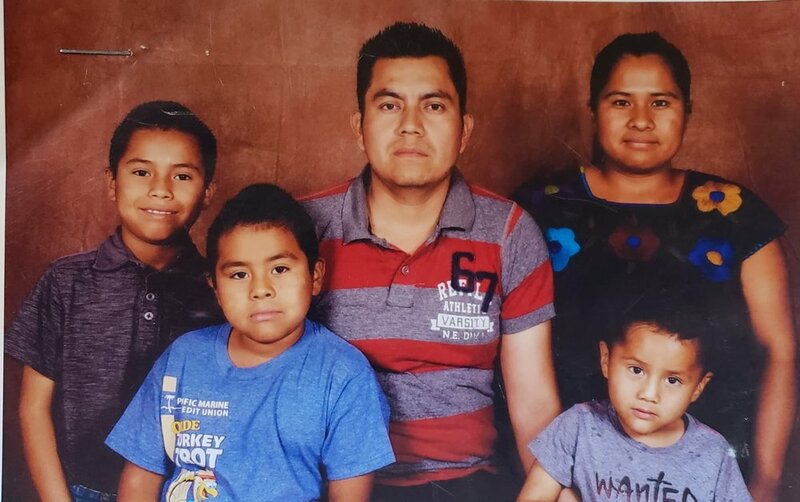 After she left, that partner tried to force Simona and the kids return to Oaxaca because he was afraid of being blamed for abandoning them. He wanted Simona to come back just to blame her for taking the kids away from him. He finally left her alone and started another family in Oaxaca. After all that happened with that man, she still wanted a family. On two different occasions, two different men had offered to start a family together and take care of her of her children. Both times after she got pregnant, they broke her heart and left her alone. Simona has worked very hard during all this to raise her 4 children and provide for them. And over the years, many people have suggested abandoning them or giving them up for adoption; but she refuses to do that, because she loves them. She says that these are her children and she will fight to raise them and take care of them until the end. Omar and Diana met in Ensenada working in the same tortilleria. Omar carried everything heavy and Diana worked putting things in order making the tortillas. They dated until Diana told Omar that if he was serious with her and planning to marry her, because she wanted to take things seriously between them and not just be playing around. Shortly after Diana’s ultimatum, they got married. A yearafter getting married, María Fernanda was born. Maria Fernanda has a heart problem that they didn’t find out about until she was 6 years old. For two years they had to take her to regular medical check-ups in Tijuana until she was able to have the surgery she needed to have. In the early days of dealing with Maria Fernanda's illness, Omar and Diana went through the sad loss of their 2-month-old son. After that, Omar was run over while walking on the street, and the accident left him in bed for 6 months due to a fractured hip. They felt that there were so many bad things that happened during those 5 years, but are finally in a better place today. They bought a small piece of land where they currently live in a small wooden house. Their daughter María Fernanda is currently studying in an elementary school and her health has greatly improved. Diana is currently a stay at home mom and cares for the house while Omar works at a fruit stand. Rosa is originally from Ensenada and José is from Sonora, they met here in Ensenada. Rosa already had a son when they met. Soon after meeting, they decided to move in together and start a family. At the beginning they were renting a place, but they couldn’t continue paying the rent so they moved in with Rosa's mother. They decided to buy a piece of land which they are currently paying off. They have 3 children, all 3 attend school. For a while Rosa was working in a factory and also for a cleaning company; but she was diagnosed with uterine cancer and has since been unable to work. Five months ago, she went into surgery to remove the tumor but during the surgery, they realized that it had spread to other areas of the body. They removed the uterus and ovaries, but there was about 10% of the tumor that they couldn’t extract. Rosa will need to have another surgery to hopefully remove that last part of the tumor that they couldn’t remove the first time. She is currently receiving chemotherapy and needs to detoxify herself in order to be operated on again. José is the only one who supports the house financially since Rosa has been unable to work. They had been living in a small wooden room that José built on their piece of land, but moved back in with Rosa's mother so that she could have the help of her mother while going through chemo sessions. Rosa also needs a clean space and the room they have on their and doesn’t provide that for her. Rosa says she wants a house to be able to have a better quality of life for her and her children. Gonzalo and Oralia are originally from the State of Durango; They lived a comfortable life together in the state of Sonora, everything was good with them and their family. But suddenly something unexpected happened that changed the course of the family. Some people mistakenly kidnapped Gonzalo's sister; apparently they had actually wanted to take Gonzalo and Oralia’s daughter Kimberly. When they knew about this, without thinking, they took the family and left everything behind to find a safer place to live. Since coming to Ensenada, things have been very difficult economically; they basically had to start from scratch. They started renting a place, but it was very difficult for them to pay the monthly rent, so they decided to buy a piece of land to have something better to offer to their children. Gonzalo works hard to pay the bills, but they cannot find the stability they need. They heard about Homes of Hope through a Christian Church who told them that they could receive help through that program. They decided to ask for help with the hopes of being able to provide something better for their children and future. Rosendo is 31 years old, he was born in the state of Oaxaca (south of Mexico) and works in a packing house. Ernestina is 27 years old, she was also born in the state of Oaxaca and stays home to care for their children. They have 3 children. Cristian, 9 years old, who is currently in 4th grade; then Kevin is 7, and in the 2nd grade; and the youngest is Isaac, who is 3 years old. Ernestina's family emigrated to the north looking for work opportunities. In the same way Rosendo came to Ensenada looking for better work. They met in the countryside of Ensenada, working to pick tomatoes. They started a friendship and a year later they began dating. After 1 year of dating, they started living together. At the beginning they were renting a room here in Ensenada, but after a few months, they had to move to the state of Sinaloa to work the fields there. From Sinaloa, they went to Oaxaca and lived there for 5 years with Rosendo’s parents. However, work and life in Oaxaca is very difficult, and they decided to return once again to Ensenada. When they moved back to Ensenada, they lived with Ernestina's family for 1 year. During that time the land in front of Ernestina’s parents house was put up for sale and Ernestina's father gave them money for the first payment of the land. Soon after that, they built a small room and began living there on their new land. Marlen was born in the state of Yucatan. She and her mother lived alone and they both had to work to make ends meet. Marlen’s mother worked in hotels while Marlen spent time with her grandparents. Marlen grew up working in the fields with her grandparents, collecting sugar cane. When she was older, she had an opportunity to go to another city in the state of Campeche to work at a ranch there. That's where she met Carlos, her husband. They decided to start a family and make the big move to another city to work. This is what brought them to Baja California and to Mexicali (a city that is about 3 hours from Ensenada); but the extreme weather in that city led them to move again and that is how they ended up in Ensenada. Once here in Ensenada, they decided to buy land and start building their own place. But the years have passed, and they have not been able yet to build anything due to the difficult economic situation in which they live. They are asking for a Home Of Hope with the desire of being able to offer a better future to their children.